“Those who travel the world, care about it,” says 1 Hotel’s founder Barry Sternlicht. 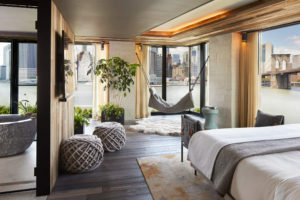 The designers and architects of the three hotels (located in South Beach, Manhattan, and Brooklyn) incorporate a sustainable spirit from the ground up, using pure natural elements and reclaimed materials like wood, organic cotton, marble and copper. 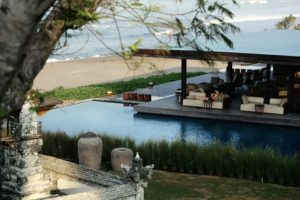 Committed to sustainable tourism, Alila Seminyak, located on Bali’s southwest coast, aims to preserve the local life and tradition of the surrounding nature and communities. 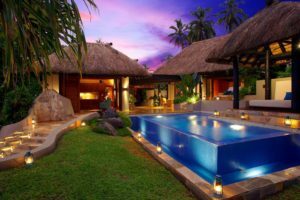 The resort’s expansive natural landscaping, rooftop pools, and rain gardens use rainwater harvesting, while the local fauna help create a green environment contributing to the overall reduction of energy consumption. 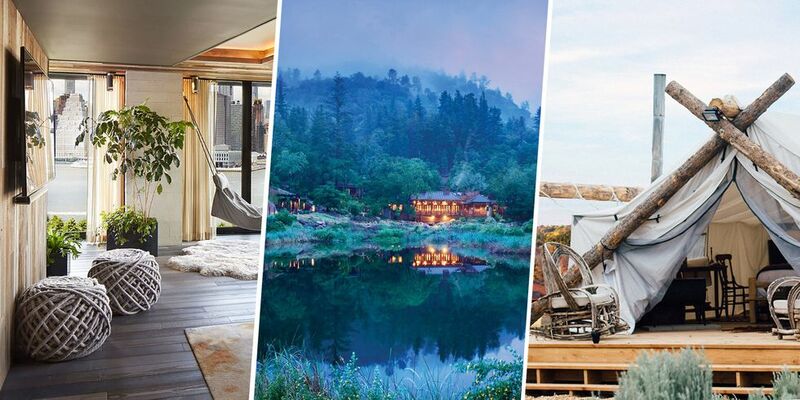 Responsible and meaningful luxury is at the heart of Napa Valley’s Calistoga Ranch. 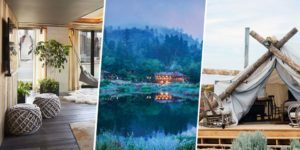 Cedar shingled guest lodges are surrounded by the untouched ancient oak trees and red woods of the region, while trails for hiking follow the natural path of deer that run into the surrounding nature conservancy. 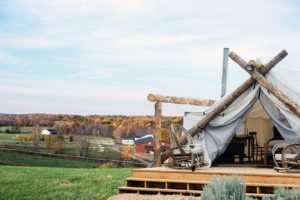 Collective Retreats, a pop-up hotel with three separate locations in Vail, Yellowstone, and now Hudson Valley, takes on a new approach to hospitality with what they call the “future of green hotels.” Based on the pop-up model, each location utilizes temporary structures with minimal impact on the land. A lower carbon footprint is the result of less energy use, less water consumption per guest, and the ability to stay powered by solar energy when possible. Enjoy the site and sounds of the rainforest at Tabacon’s Grand Spa Thermal Resort. 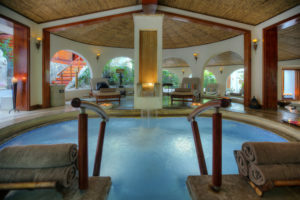 Set on 900 acres of tropical reserve in Costa Rica, the resort’s water is completely heated by the active Arenal Volcano. Tabacon also promotes awareness and education within their community, constantly seeking ways to improve the lives of their local neighbors and all inhabitants of the region. One of the pioneers in eco-tourism, Jean-Michael Cousteau Resort in Fiji was the first resort in the South Pacific region to recycle paper and plastic, and in the process set up a recycling program for the entire town of Savusavu. 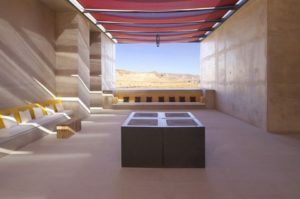 The resort has developed “edible landscaping” where the plants on-site are not only for aesthetics, but supply the kitchen with fresh herbs and produce. “In a place so wild and beautiful, it just seems like the right thing to do,” says Primland. 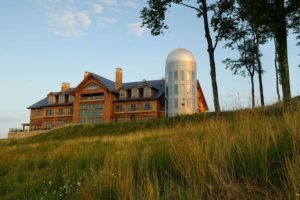 Cosied into the Blue Ridge Mountains of Virginia, Primland’s natural retreat spans 12,000 acres and works diligently to preserve every inch of the land. Their emphasis on recycling and conservation reigns king. 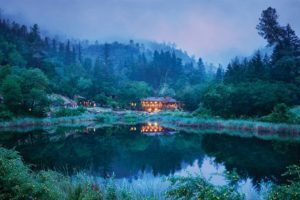 Touches like furniture made from local recycled wood, built by local craftsman, roof tiles made from recycled tires, and an 18-hole golf course that recovers rain water through an irrigation pond, demonstrates Primland’s utmost commitment to sustainability. Built along winding lagoons and pristine beaches, Rosewood Mayakoba follows the highest level of eco-standards. 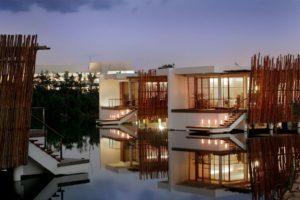 Their policy is to offer “indulgence with awareness.” In support of the resort’s neighboring communities, Rosewood Mayakoba purchases food, clothing, bags, and other necessities from local producers and artisans. 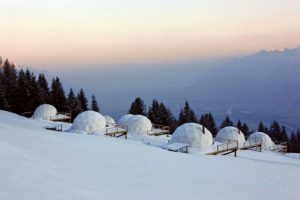 Located in Valais, Switzerland, at the base of the Swiss Alps, Whitepod Eco-Luxury Hotel aims to prove that “hospitality and environment conversation can coexist.” Hotel rooms come in the form of fifteen colour adapted pods (white in winter, green in summer) anchored on a wooden platform. Being eco-logic means that the use of energy and water is controlled, waste is recycled, and even the staff walk to work.